← Zwift, My First Bunch Ride. Last night was my first big bunch ride on Zwift. The first one that had a ride leader and the group stayed together. Every Wednesday at 7PM Culburra beach time, the Hump Day Ride (HDR) takes off. I had joined it a couple of weeks back, but the ride leader didn’t make it and it all went to poop pretty quickly. There were bunches all over the road and I kept jumping between them depending on my abilities. Last night however, the big kahuna showed up and it was a solid group of 140-170 people for the first 3 laps of Watopia flat. You can find all sorts of bunch rides here http://zwiftcalendar.com/ It gives you all the details you will need to participate. Summary: Social pace ride led by Tim Searle. 60 minutes easyish laps + an optional harder 15 minute “After Party” ride. Intensity: Main Ride: Easyish steady pace. We want to stay together. The leader will adjust the pace as necessary for the riders present. Generally 2-2.5W/Kg. You should not be above 3W/Kg at any time during the main part of the ride. After Party: Harder pace, generally 3-3.5W/Kg as a guide. Although this part of the ride is faster, it is still a group ride & we want to try to stay together. So that is 180-235W for me. A bit more than a steady pace for this Non Pro. 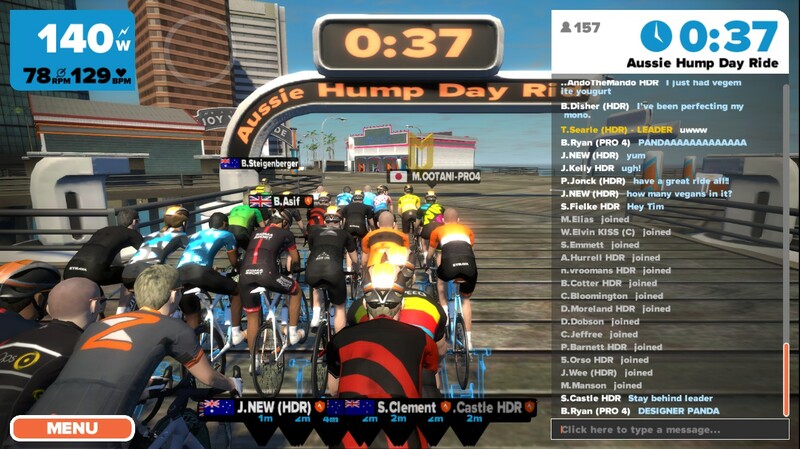 Just recently there have been some updates to the Zwift software, one of which is a staging area for all riders on a group ride. You can sit there on a virtual trainer, in a virtual world, warming up. 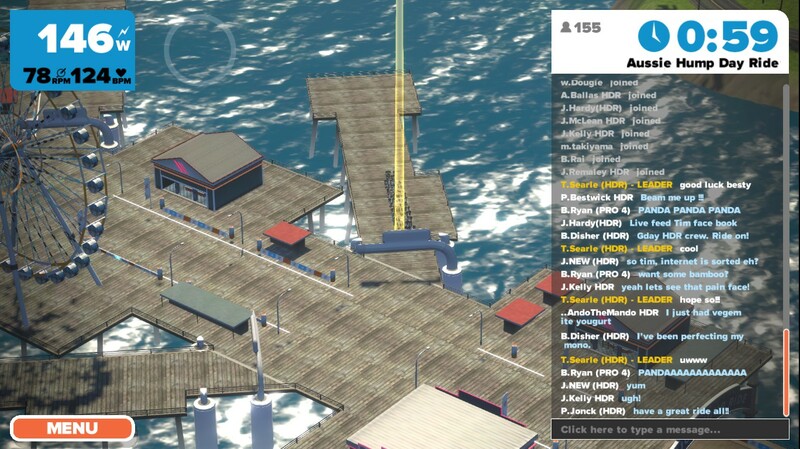 Seeing yourself on a pier on a turbo trainer in a virtual world has a bit of an Inception feel to it. It is pretty cool, as 7PM approaches, seeing more and more riders joining. And the countdown sort of adds to the excitement. Well it does for me. I am easy sucked into these things. Go time and everyone charges off. It was right about then that I realised I had made a huge rookie error. Check this out. oh dear god, it was like a bloody Powerpoint presentation. my poor little laptop was slugging its guts out and riders were flying off into the water, the bush and the sky. It just couldn’t cope with 150+ virtual peleton. Lesson learned for next time. The ride itself was pretty interesting. Tim Searle did an outstanding job keeping people in check. if a group got off the front, he asked them to ease off. Gave encouragement when all was going well. I have no idea how he managed it. 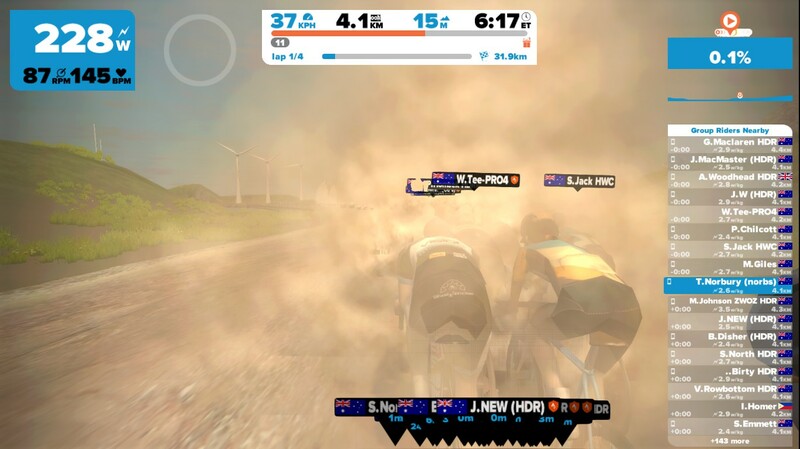 Ride Ons (Zwift kudos) were raining down and again I dont know haw people managed. I was too busy trying to stay in the group and keep my power at the right level. Things got even trickier when we hit the dirt. 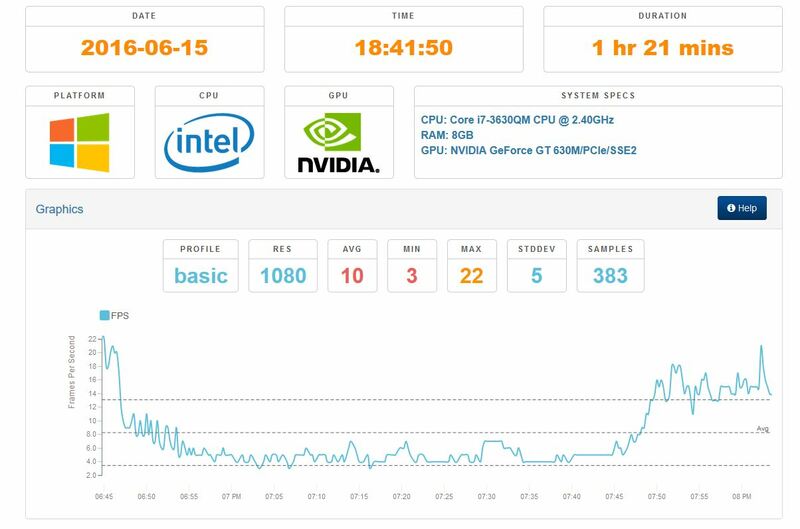 I reckon that was when I was getting a massive 3 frames per second. Oh joy. Lap 3 and the pace seemed to pick up a bit and I was starting to feel the pinch, and that was knowing that lap 4 was the party lap. Lap 4. Party my arse, it damn near killed me and I thought I was going to spew my lunch all over the garage floor. hand me a bucket! The bride walked it to see how I was going at one point. Most likely because she could here the laboured breathing from inside the house. “Can’t talk, have to keep up” was all I could manage as she looked at me, sweat pouring out of me, and walked off shaking her head. See if you can spot when lap 4 started? One of the really cool things with Zwift is the slip streaming that is modeled into the software. I was going ok in the bunch, but once the party started, I was in trouble. here are the 2nd, 3rd and 4th laps. So, Zwift bunch rides. I reckon once I have the hardware and software sorted (lower resolution so I can see video, not a Zapruda like film) it will be great fun. For a lower end plodder like me, it will always be a struggle, but it should make me stronger over time. Well I hope so. This entry was posted in My Rides and tagged cycling, trainer, Zwift. Bookmark the permalink. Really enjoy these write ups mate. Both you and Osher have me tempted! Just to convince the other half. Thanks for the generous write up Norbs! Glad you enjoyed it. See you next week! P.S “After Party: Harder pace, generally 3-3.5W/Kg as a guide.” We were pushing close to double that at the front for a lot of the last lap! Great stuff. Yes I can see where lap 4 started, lol! I was in the same ride, but didn’t realise there was a staging area and ended up lurking around the start line until eventually twigging that the group had got away somehow . Picked it up again by circulating the wrong way around the island and U-turning into the bunch as it passed (memo to self: don’t bring Zwift habits to daily commute).